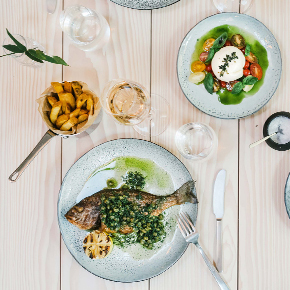 Located within the Nobis Hotel Copenhagen, Noi is the modern dining destination set to open this winter. Offering a menu of seasonal dishes, Noi’s focus is on European flavours and high-quality produce. Celebrated Swedish architect, Gert Wingårdh, led the transformation of the restaurant, adding a glass façade and copper plates to the former 1960s annexe building.